Indonesian air forces are willing to replace outdated F-5 jets (USA) with Su-35S “4++”-generation multi-role fighters, Interfax-AVN reports with reference to the Commander-in-Chief of Indonesian Air Forces, Agus Supriatna, and ANTARA news agency. VEB increased the sovereign risk limit for Indonesia to 16.3 billion rubles in the network of a contract for delivery of Su-30MK2 fighters. Due to fall in exchange rate of ruble, Russia has to make changes in its export contracts in the area of military-technical cooperation. 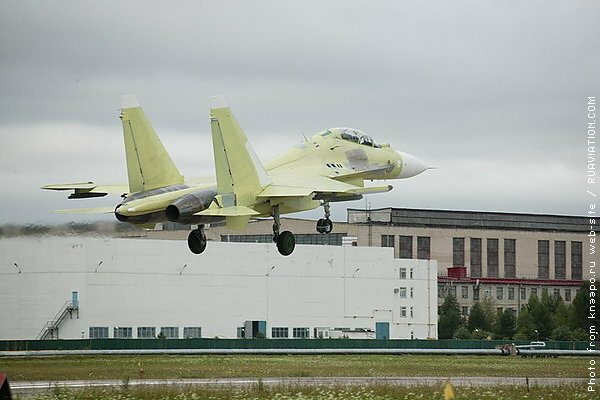 Vnesheconombank (VEB) increased the sovereign risk limit for Indonesia to 16.3 billion rubles (+2.3 billion) in the network of a contract for delivery of Su-30MK2 heavy fighters signed in 2011, Kommersant reports.